By that, he mostly means the instinct that seems to be triggered on Capitol Hill every few years, when members of Congress come to believe they can remedy the Pentagon’s procurement problems with wisely crafted legislation. 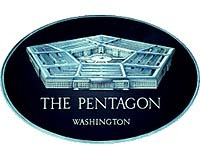 Instead, during his nearly eight-year tenure — first as the deputy undersecretary of acquisition, technology and logistics and then the undersecretary — he argued the best thing would be to let the acquisition workforce work with one consistent set of policies for more than a couple years at a time so it was possible to tell what was working and what was not. “Reform,” he argued, would have to come from within.